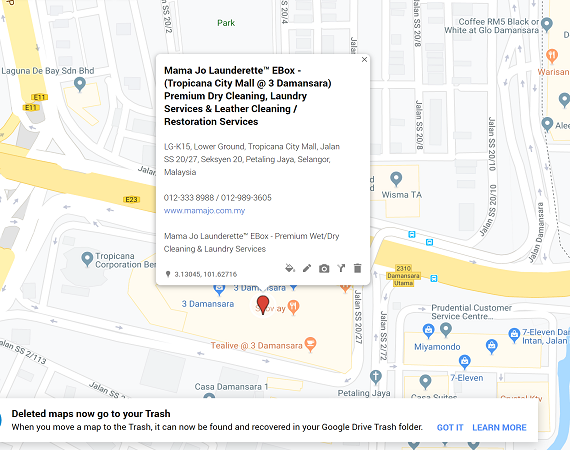 Malaysia Premium Garment Care Center. 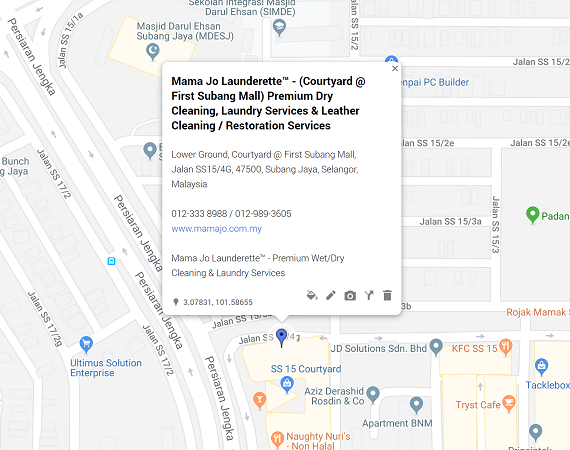 Dry Cleaning, Laundry Services & Leather Cleaning / Restoration Services. 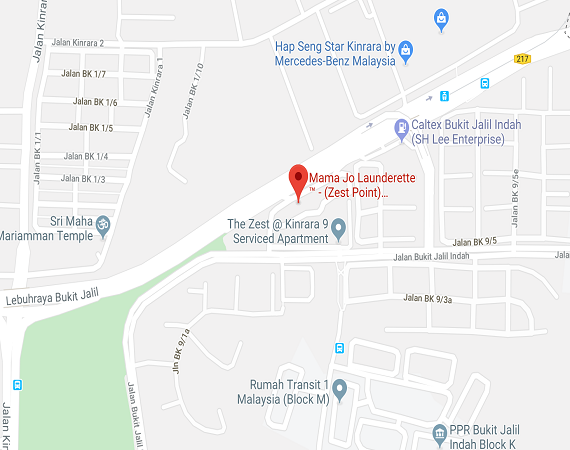 Welcome to Mama Jo Launderette. Kindly allow us to explain a bit of our Outlet and how we operate. 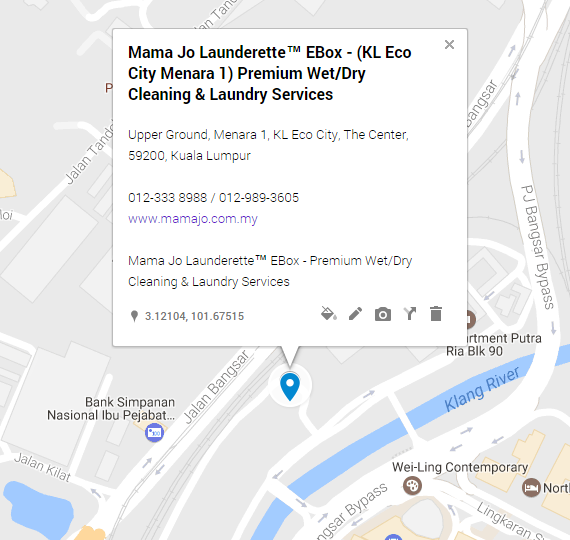 At Mama Jo Launderette, all articles/garments are cleaned in house. This means we do not outsource our washing or cleaning of items. Everything is done under one roof where we can control and monitor our quality. Please scroll down to view our outlet locations or you can click here to view all the outlets and options available. Alternatively, you can contact us using one of the following methods for any enquiries.